I read a story a year ago in The Salt Lake Tribune that really made me thinkâ€”and made me once again consider how important our everyday carry gear really is. Three children were saved by passers-by after the car they were riding in lost control, ran down an embankment and landed upside-down in the icy Logan River in Utah. The 46-year-old driver of the crashed vehicle was able to free himself, but the childrenâ€”two nine-year-old girls and a four-year-old boyâ€”were trapped in the freezing water. The doors of the car wouldn't open, so one of the first responders, retired police officer Chris Willden, shot his Glock 23 into the corner of the window to break it. Other passers-by came together to flip the car over and pull the children out of the broken window to safety. All three survived. Willden was later interviewed by a law enforcement on-line newsletter, and he offered these learning points to all who might face a similar circumstance and addressed how important one's everyday carry gear is: Never leave home without a knife, gun or flashlight; keep current on first-aid and CPR certification; train rain or shine, but rain is better because if you can perform in bad weather, you can truly perform; and consider carrying a seatbelt cutter and glass-breaker. Renowned firearms trainer John Farnam of Defense Training International wrote in his blog regarding the incident: "There were several other well-meaning citizens present, who bravely endured the freezing waters that day. But only Willden was truly prepared. He had the necessary tools at hand and the boldness to unhesitatingly take unilateral, dicey, audacious actionâ€¦Through preparation and boldness, he snatched victory from the jaws of disaster." Chris Willden knew what to do, was prepared mentally to act and had the gear he needed to accomplish the task. How many of you reading this can say the same? I do the best I can to stay ready, and part of this preparation is to carry the same gear with me every day. As I progressed through my police career, I continually tried to evaluate my individual readiness for what lifeâ€”and my jobâ€” brought my way. I "war-gamed" potential scenarios, talked to my family about what to do, upgraded my weapons and everyday carry gear and generally tried to stay prepared for the potential dangers that lurked on- and off-duty. Street cops are now called "first responders," and I think the term is appropriate. When conflict arises and everyone else is running away, cops run toward the trouble to either help the citizens they're sworn to protect or to halt the violence that's in progress. I've also been involved in several situations off-duty that had little to do with armed conflict. I'm proud to report I had the proper state of mind to act instead of dither. That's something most street cops have, and I've helped traffic crash victims, found lost senior citizens, directed traffic until additional units could arrive, pulled a drowning child out of a pool, talked to a suicidal subject and even cut the trouser leg off a child whose pants got caught in an escalator. Yet, having faced these varied situations, I never really thought of my everyday carry gear being anything but preparation for armed conflict, and this is certainly the wrong mode of thought. Stop a moment and consider your everyday gear. What do you carry? Have you given it careful consideration based on your real world of work and play? Let's examine the subject a bit. Like Willden, I carry a gun, knife and flashlight every day. The gun is an obvious asset. It's a tool of personal security to be used when deadly force is reasonable based on the circumstances. But how many of us would think to use it to break a car window when nothing else would do? As it turns out, Chris Willden had actually shot his Glock underwater just to see what it would do. 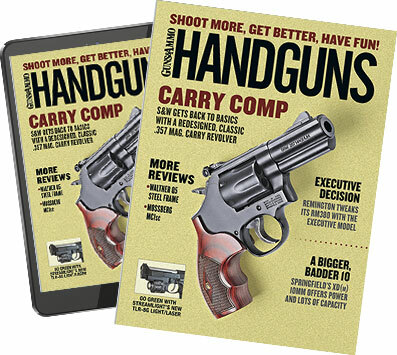 My gun of choice is a Glock 19 in an X-Concealment belt holsterâ€” which rides like a dual-slot belt rig but draws like a competition speed rigâ€”with accompanying magazine pouch and a 15-round magazine loaded with Speer 124-grain +P Gold Dot hollowpoints. Having cut a few people out of seat belts, I can tell you a knife is a handy thing to have. I can also tell you not having a cutting tool when you need one is a gut-wrenching, hopeless feeling. How would you feel if you were in Willden's place and had to watch those children perish because you had no way to cut them free? Although I've carried any number of folding knives over the years, I think a blade of three inches in length with a partially serrated blade is the way to go. Knives in this category are no larger than the palm of my hand but can handle large knife tasks. A few serrations are handy because they make the initial cut through many materials easier to accomplish. Have you ever tried to cut wet seat belt nylon? Trust me; serrations really help here. Dual thumb studs, and even an index finger flipper, help in deploying the knife quickly when digital dexterity is at a premium if your hands are wet. Any number of knives fit these criteria, so shop wisely. Your everyday carry flashlight doesn't have to be a large or exceptionally bright light. It just needs to be capable of searching and navigating bedroom-size places, find a light switch or find your way out of a smoke-filled room. I had the opportunity to hear one of the survivors of the World Trade Center attack speak, and he made it quite clear people who had flashlights were able to find their way out of the smoldering buildings. Smoke, dust and other debris can easily fill the air to the point where the naked eye can't see, and having a white light can mean the difference between life and death. Two good choices are the Brite Strike BD-180-MH-1C or the Surefire Backup. Both offer 200-lumen light capability in a one-cell lithium units that are easy to clip to the waistband or just drop in a pocket. Both have a tail-cap switch that is easy to use and are capable of momentary or constant on function. Both lights are completely waterproof and built like a tank. The bottom line is that as a first responderâ€”or just a citizenâ€”being prepared for a wide variety of situations is a way of life, not something done when it's convenient. If you haven't given careful consideration to your everyday carry gear, it's time to do so. Someone's life, maybe your own, may depend on it.